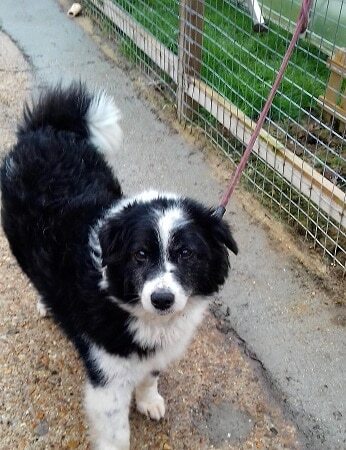 Please meet Brian, possibly a Collie/Husky Cross. 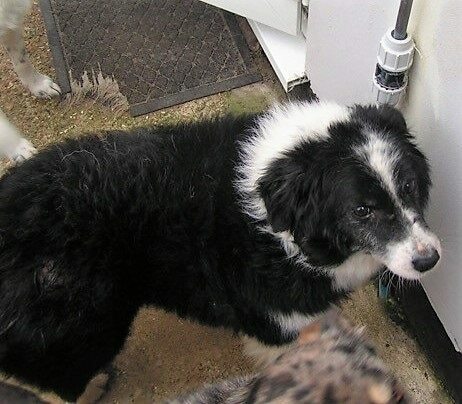 He is urgently looking for a quiet home with no young children with the help of Romanian Rescue Appeal. 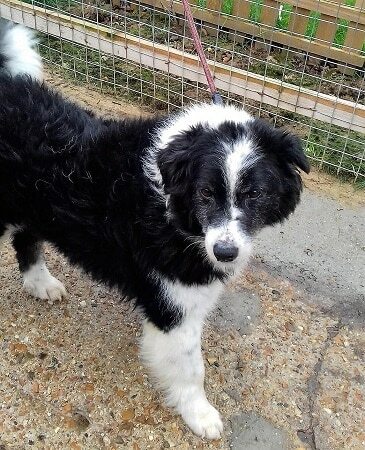 Brian is not getting on with one of the male dogs in his foster home on the Isle of Wight, Hampshire, and so needs a new foster/foster to adopt home as soon as possible. Brian is a very handsome boy, 12 year old boy with a chunky build and short, black and white plush coat. It certainly looks as though he may have some Husky in there as well as Collie. He is very friendly with people and is quite submissive. He’s happy to give a paw and enjoys a cuddle and being groomed. Brian ignores the female dogs he lives with, but there is some tension with the male dogs. He ignores the cats in the home, so he can be rehomed with them. Brian enjoys short, interesting, slow walks with plenty to sniff. He is used to being walked on a harness. Brian is neutered and his sight and hearing are poor now (he displays some old dog behaviour, such as sometimes barking at seemingly nothing). He has no known medical issues and is not on any medication. There’s a short video of Brian here. 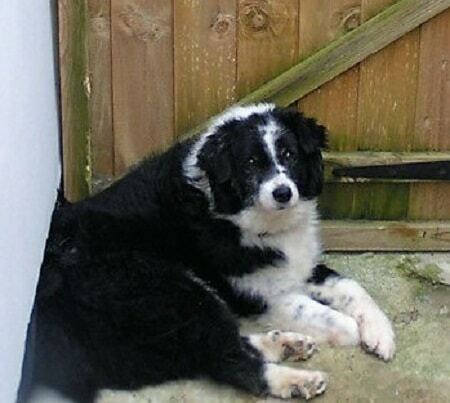 Please mention you saw Brian on the Oldies Club website.